Gorgous eat-in kitchen with cherry cabinets, granite counters & backsplash, island, stainless steel appliances. 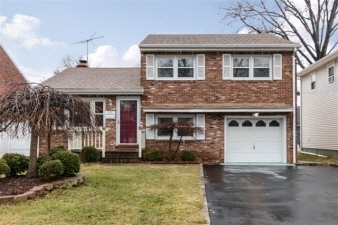 Gleaming HWF, finished basement with woodburning fireplace, CAC. Covered patio & fenced in yard, 2 sheds.